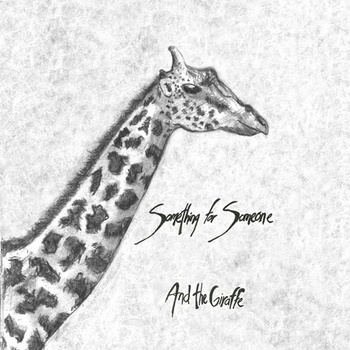 And The Giraffe is a duo from Florida made up of Nick Roberts and Josh Morris.Their first EP Something for Someone is an atmospheric group of songs. The six tracks are quiet, building songs that never rush to a finish. The music is not easily accessible. This isn’t music for people who aren’t seeking it out. It is very good, but you have to really listen to appreciate it.The title Something for Someone reflects this thought. It is reminiscent of early Pink Floyd at times with the big echoey sounds and reverb. The closing track “Still” could have been right in Syd Barrett’s wheelhouse. “Masquerade” is a highlight on the record because it seems to possess the most intense moment of the record with the lyric: “and I’ve watched your mask fall, and now you feel it all” “Underground Love” is another strong track that draws obvious comparisons to Bon Iver and Iron & Wine. The EP never breaks stride and never becomes unpredictable. It remains in the same delicate bubble throughout. This may be this small sampling from this new bands greatest flaw and greatest weakness in one. This entry was posted in 250 word album reviews and tagged And The Giraffe, Josh Morris, Masquerade, Nick Roberts, Something For Someone, Still, Underground Love. Bookmark the permalink.